Various hearing aid features can offer you greater control and a better experience. In our previous blog about hearing aid styles, we examined the various types of hearing aids, from completely-in-the-canal hearing aids to behind-the-ear. But these days there’s more to hearing aids than just how they’ll fit in your ear. There are a number of special hearing aid features you may also want to consider before you decide what to buy. Noise reduction – although all hearing aids feature some amount of noise reduction, the amount will vary from model to model. Some hearing aids feature noise cancellation to block out background noise or wind. Directional microphones – this feature can help improve your ability to hear when there’s a lot of background noise, as it enables the hearing aid to better pick up sounds coming from in front of you while reducing peripheral noise. Rechargeable batteries can make it easier to maintain your hearing aids, so that you don’t need to regularly charge them. Some hearing aids come with remote controls, enabling you to adjust features without having to fiddle with the hearing aid itself. With direct audio input you can plug in audio from a television, computer, or music device directly into the hearing aid. These days hearing aids increasingly feature wireless connectivity to allow the device to interface with cellphones and other gadgets. Telecoils help make it easier to hear when you’re talking on a telecoil-compatible phone. A telecoil eliminates sound from your environment so that you only pick up sounds from the phone. Synchronization is a useful feature for individuals with multiple hearing aids, as they can be programmed to function the same. 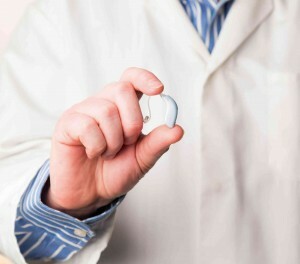 That way, when you make adjustments to one hearing aid they will also be made to the other. Variable programming is a versatile feature that allows users to preprogram various settings in anticipation for different listening environments. This entry was posted on Friday, September 30th, 2016 at 8:26 am. Both comments and pings are currently closed.